Daddy Yankee says he was the target of a crazy hotel room heist in Spain -- where a dude impersonating the "Despacito" rapper allegedly fooled staff into opening the rapper's safe and made off with $2 MILLION in jewelry and cash. A rep for Daddy Yankee confirms the incident went down while the rapper was outside of his hotel in Valencia, Spain -- when a man pretending to be Yankee got access to his hotel room. According to local reports, the fake Daddy Yankee asked a hotel staff member to open the safe in Yankee's room ... and the staff member obliged. 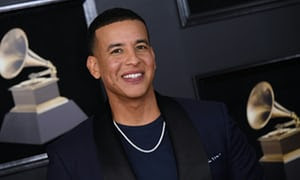 Daddy Yankee -- real name Ramón Luis Ayala Rodríguez -- famously rocks big gold chains and diamonds, and reports say that's exactly what was jacked from his hotel room at the exclusive Meliá Valencia Hotel... along with about $2,500 in cash. Cops are reportedly trying to get their hands on hotel surveillance footage to help identify the suspect.